Your first order of business for your Las Vegas/Clark County, NV Electrical company is to make sure you have General Liability Insurance Coverage. By acquiring a General Liability Insurance Policy, you are taking the proper steps necessary to protect your electrical company’s negligence related to your business activities and claims of bodily injury and property damage. In addition, this particular type of insurance coverage will provide your company legal defense in the event that a claim or lawsuit is filed against your company. What if your Las Vegas/Clark County, NV Electrical company were to have a bit of bad fortune suffering a mishap such as a fire, a theft, or some similar action that would qualify as a disaster, would your company be covered for these types of potential disasters? The best way for your company to have protection for such things as your furniture, equipment, computers, improvements made to your building or rental space, and inventory would be to have a Property Insurance Policy in place before a disastrous event were to happen. Also, some property policies may also include coverage for loss of income due to your business being suspended and unable to operate due to a covered loss and may also cover additional operating expenses and payroll necessary to keep your company in business after a covered loss. In general, most Property Insurance Policies are typically designed to protect the assets located at your company’s business address, so if your company has equipment or materials that are frequently moved to various job locations, acquiring Inland Marine Coverage, as well, would be a smart move. In the state of Nevada, Workers’ Compensation Insurance is mandatory. This type of insurance will provide coverage for your employees’ medical expenses and, at least, some portion of their lost wages should your employee be injured on the job. To better understand Nevada Worker’s Compensation Insurance, think of it as a form of state-regulated, no-fault liability insurance which will cover your employee’s medical expenses, lost wages, rehabilitation services, or death resulting from a work-related injury or illness. Also, regardless of whose fault it is, if a company employee is injured in the workplace, the employee will be eligible for worker’s compensation benefits. When an illness or injury occurs while performing one’s work-related duties or conducting an employer’s business, employees are entitled to receive worker’s compensation benefits. In addition, in most cases, this type of coverage protects an employer from being sued by an injured worker. Some additional insurance coverages that your electrical company should consider area: Umbrella/Excess Liability Insurance, Employment Practices Liability Insurance, Errors and Omissions Insurance, and Contractors Pollution Liability, among the many coverage options available to your company. We know just how vital it is for your company to have the proper Las Vegas/Clark County, NV Contractors Insurance, which can be extremely useful to your business in acquiring and keeping clients since they will feel more comfortable doing business with your electrical company due to the fact that you are insured in case of an accident that may cause property damage or bodily injury. 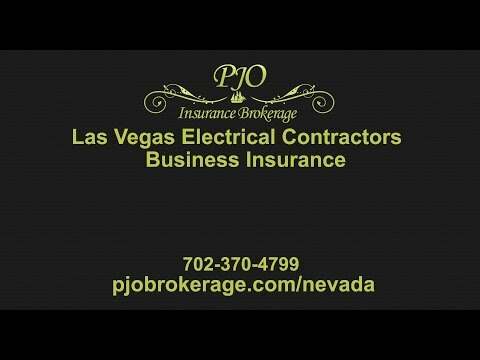 PJO Insurance Brokerage understands that the protection of your Las Vegas/Clark County, NV Electrical Company is first and foremost and having the proper insurance should be your first priority. 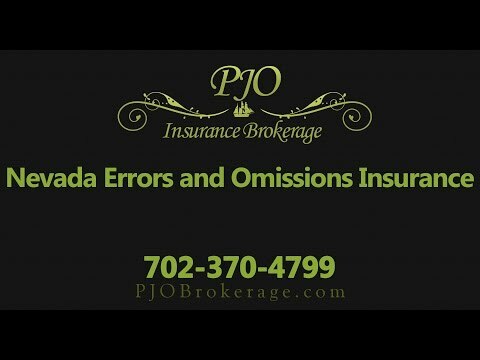 To learn more about which insurance coverages would be beneficial to your Las Vegas/Clark County, NV Electrical Company, we welcome you to contact the professional brokers at PJO Insurance Brokerage to discuss your insurance options and to help you create the proper insurance program for your particular company’s needs.